Although South Korea’s embattled President Park Geun-hye once made a show of asking the national legislature to decide her fate, offering to leave office at whatever moment they decided, she became much less enthusiastic about the idea after they voted to impeach her. 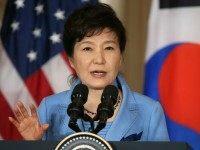 The office of South Korean President Park Geun-hye has denied any corrupt motive for a large order made of the erectile dysfunction drug Viagra as well as anti-aging medications and vitamin injections. 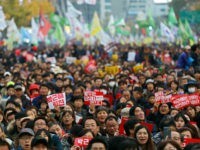 An estimated million South Koreans took to the streets over the weekend demanding their president, Park Geun-hye, step down over allegedly sharing classified information with a friend. 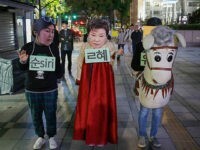 The scandal, erupting in late October, has damaged Park’s economic proposals and threatens to herald in an opposition government that may undo her work in office. 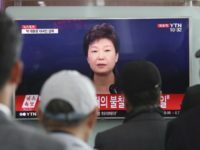 South Korean President Park Geun-hye asked her nation’s forgiveness in a second apology address Friday over sharing classified information with a longtime friend with ties to a mysterious cult, and she denied accusations of allowing exorcisms to occur in the presidential palace. Choi Soon-sil, a friend of South Korean President Park Geun-hye, who Park has admitted was privy to presidential speeches and other unspecified sensitive information without clearance, says she has committed a crime that “deserves death” upon returning to Seoul.